The Mul-T-Lock E-Series is a range of padlocks designed specifically for maximum security requirements to protect your property against the risk of crime and unauthorised entry. Designed to withstand physical attack and protection even in the harshest of environments the Mul-T-Lock is an ideal choice. 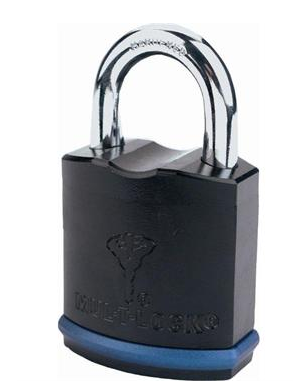 Available with patented interactive and MT5 locking mechanism, the padlock case is made of a hardened steel body providing industry leading levels of security exceed rigorous international standards. For more information regarding the Mul-T-Lock E-Series call one of our security specialists on 0117 9674994 for friendly, free advice.